Kelley's Dog Blog: T-Shirt FAIL! What the website said I was getting . . . Cute, hunh? I waited two weeks for it to come. When it finally arrived the first thing that I noticed was that the lettering was white -- but it looked good, so I didn't mind. It was a good quality Hanes T-shirt, even though the iron-on letters were a bit chintzy. 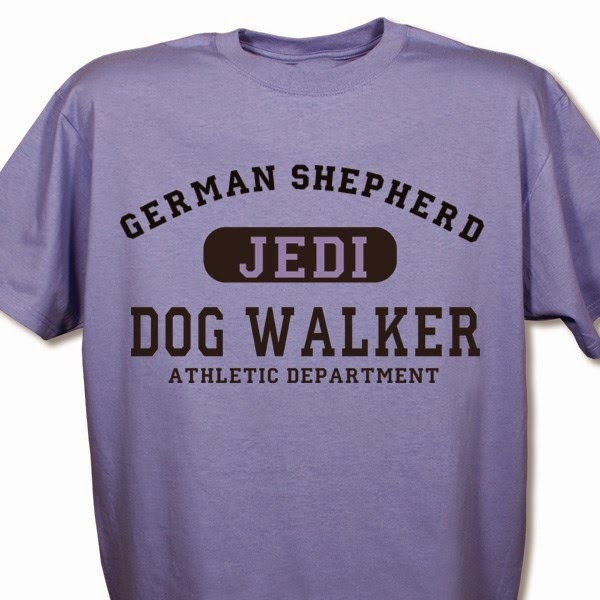 Then I noticed -- to my horror -- that shepherd was spelled wrong. It was "SHEPERD." 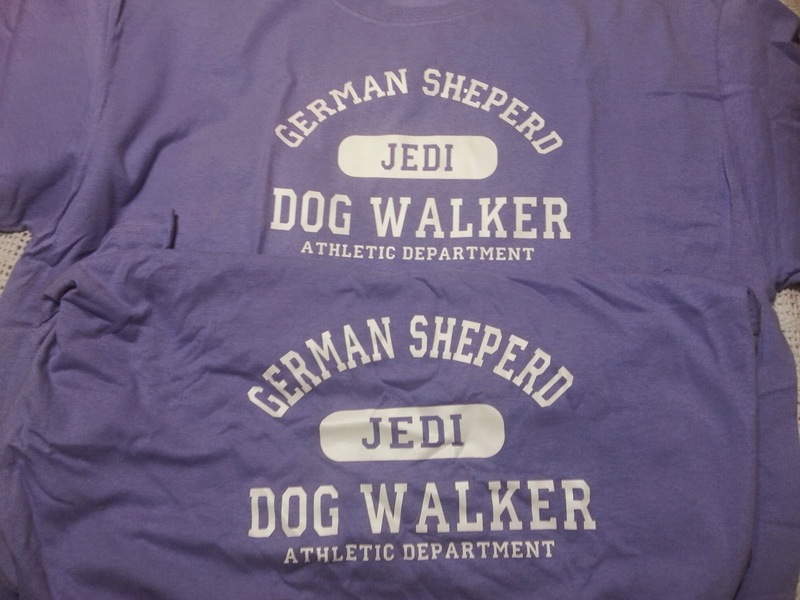 I looked at the invoice -- it said black letters, "GERMAN SHEPHERD." I immediately called customer service. The woman apologized and promised to send me a new one right away. I told her that the invoice was correct, and "German shepherd" was spelled correctly. And please tell the t-shirt guy it's shepherd, as in "herds sheep." I also told her that it looked good in white, and since they were making another anyway, could I switch the lettering to white? She said "no problem." What I actually got -- twice! So, my internet friends, stay away from Gifts For You, especially if you have a breed name more complicated than Pug. Can you imagine how badly they'd butcher Dachshund, Weimaraner, Lhasa Apso or Shih Tzu? I'm really disappointed too, because I had already planned out fun t-shirts for Christmas gifts. Unfortunately, most of my friends are German shepherd owners. Now I need to come up with a Plan B. Ideas anyone?